The following is a transcription of All Saints Anglican Church Columbarium located in Vernon, British Columbia, Canada. Latitude: 50o 15' 58.57" N.
Longitude: 119o 15' 58.59" W.
The Columbarium is housed within the All Saints Anglican Church in Vernon, B.C. The property is owned by the Diocese of the Kootenays. 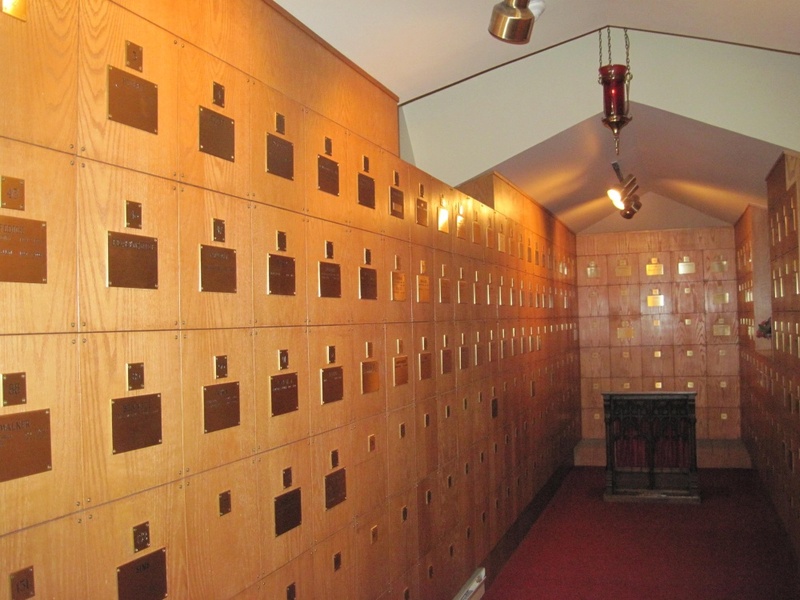 It is recorded that the first inurnment was in 1987 and the use of the columbarium continues. 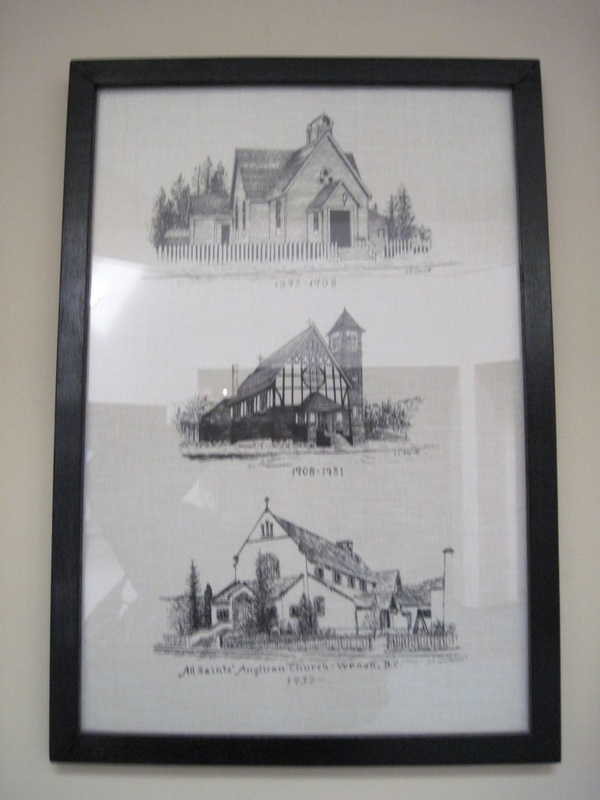 Anglican churches in Vernon date back to 1893 when the first Anglican Church was built on the corner of 31st Street and 31st Avenue. It was replaced in 1907 when a larger church was built on the present day site of the church. This building burned in 1931 and was replaced with the present church. 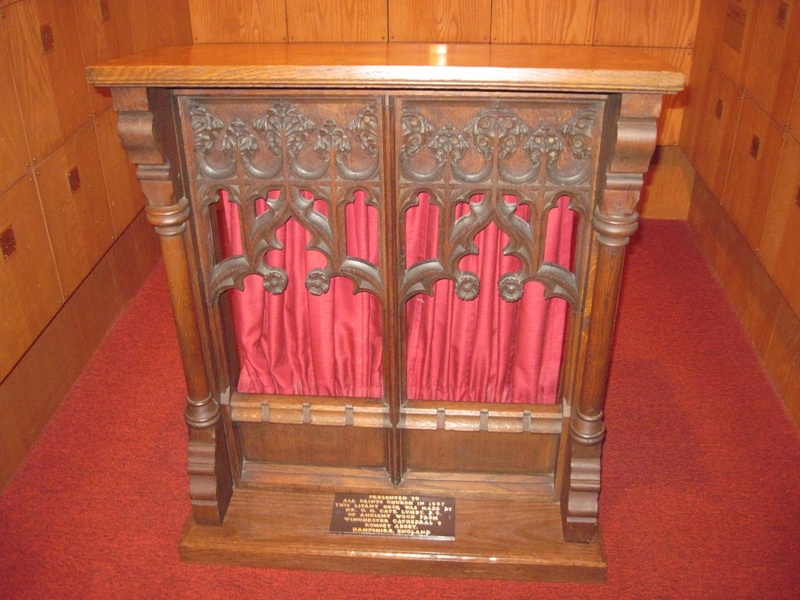 The litany desk (right) located within the columbarium was made and presented in 1907 by G.H. Catt of Lumby, B.C. It is made of ancient wood from Winchester Cathedral and Romsey Abbey, Hampshire, England. A Memorial Book containing the history of the inurnments is also located on the table in the entrance. This is a very peaceful and well maintained area located just off the main church. 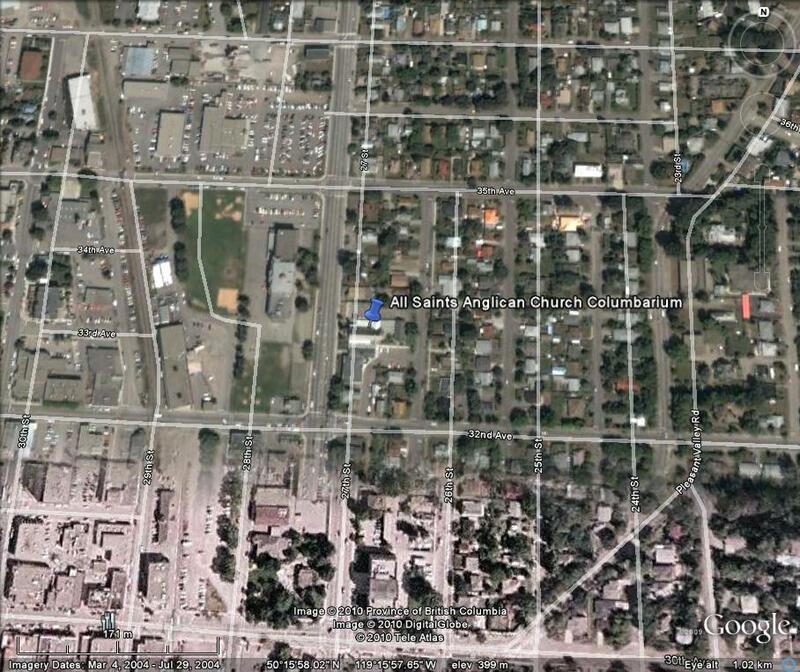 The church is located at 3205 27th Street in the City of Vernon. Oram, Edna. The history of Vernon 1867-1937. 1985.